The Ford Mustang GT 2015 is a luxury sports car that can reach a top speed of 180 mph. If you are a fan of this car or just like sports cars in general, you simply have to try the Ford Mustang GT for Minecraft PE! 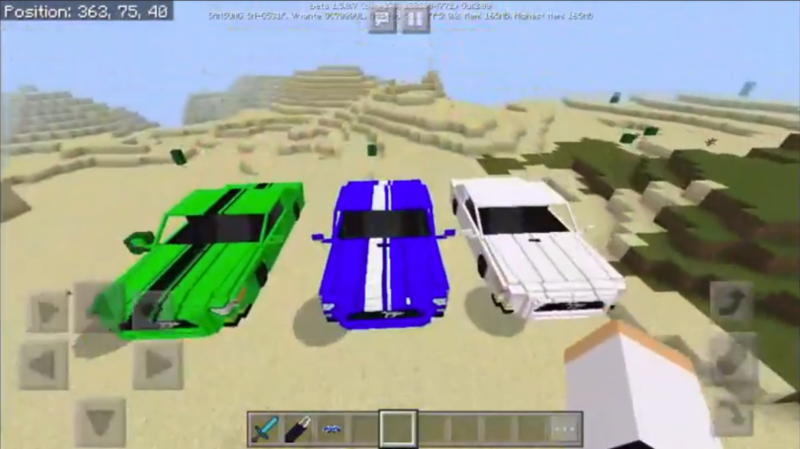 This addition will replace one mob of the world MCPE with a new sports car, available in various colors. 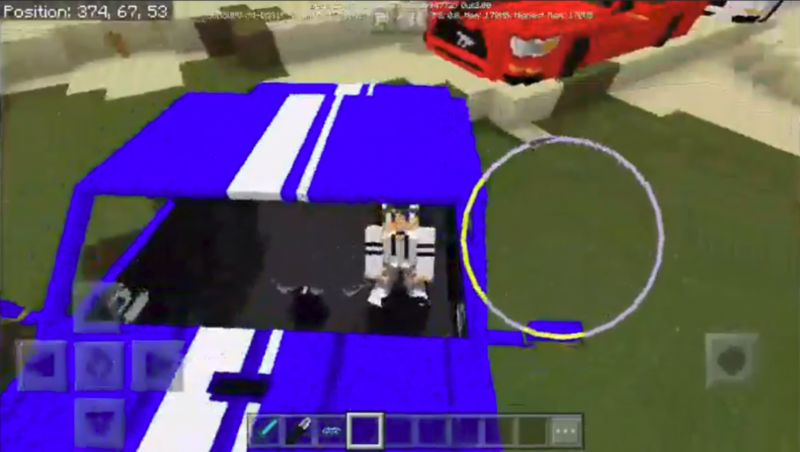 This sports car is available in Minecraft Pocket Edition in several colors, as it replaces the rabbit. In addition, this car will spawn most of the biomes of the world Minecraft PE. However, the easiest way is to use the rabbit spa egg and already today to ride a new sports car! To ride on this car, you will need to use the key, and to control the traffic, you just need to look in the right direction. Do you already want to drive around the world?